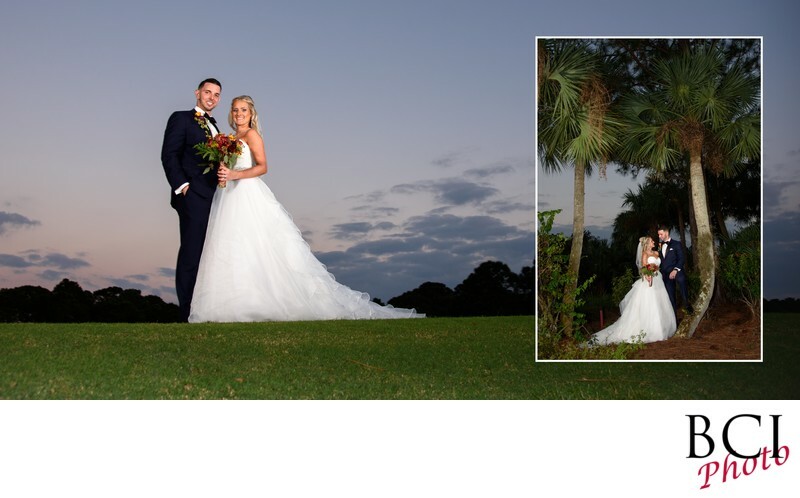 This is a bridal album page design features the bride and grooms romantic photo session following there wedding ceremony willoughby golf club in stuart florida. we just love willoughby golf club for weddings as there are so many different options for our romantic wedding portraits. That coupled with the fantastic staff, and accomodations that willoughby provides its no wonder that its the top wedding venue on the treasure coast. Contact David Sheldon today, as they book up really fast.